Find out all Crossword Quiz Daily February 12 2019 Answers. 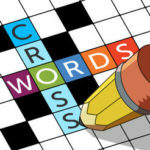 This is one of the first crossword games with different categories likes Sport, Art, Music, Pop Culture and many others. It’s created by Conversion LLC which have also released a daily puzzle that you can solve each day.